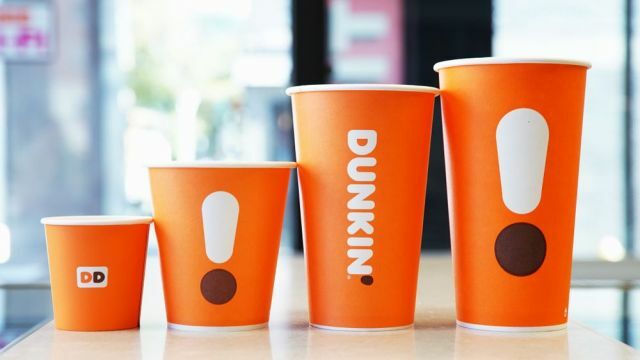 With Dunkin' revamping their espresso beverages, they're offering a number of deals to encourage people to try the new coffee as they push to "become the destination for the best lattes, cappuccinos, Americanos, macchiatos and more." - Friday, November 16, 2018 - Free sample (4 fl oz) of Caramel Flavored Iced Latte from 10 AM to 2 PM, while supplies last. - Saturday, November 17, 2018 - Free sample (4 fl oz) of White Chocolate Flavored Iced Latte, from 10 AM to 2 PM, while supplies last. - November 19 through 25, 2018 - $2 medium latte or cappuccino all day. - November 23, 2018 (Black Friday) - Free Lyft ride (up to $10 value) to your local Dunkin' location for the first 25,000 users using the promo code "SipDunkin" from 4 AM to 3 PM EST. - November 23, 2018 (which is also National Espresso Day) - Add an espresso shot to your beverage for 50 cents all day. - November 26 – December 30, 2018 - $2 medium latte or cappuccino from 2 PM to 6 PM.